The U.K. will detail plans for vehicle standards, mobile-phone roaming charges and environmental rules after Brexit in a batch of documents Thursday outlining the country’s preparations for tumbling out of the European Union without a deal. Prime Minister Theresa May is treading a tightrope as Brexit negotiations enter the final phase. 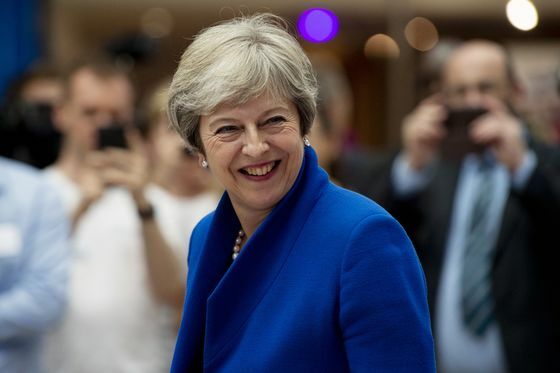 She wants to demonstrate to both the country and her EU counterparts that Britain is prepared in the event the talks break down, but she also needs to underline that “no deal” isn’t a desirable option. Pro-Brexit detractors within May’s Conservative Party oppose her current so-called Chequers plan for Brexit, and would be prepared to embrace a no-deal pathway. 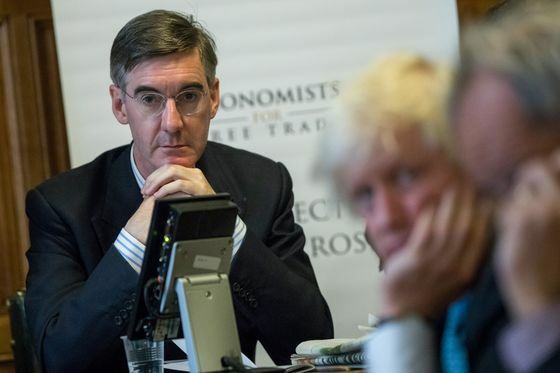 On Monday, Jacob Rees-Mogg, who heads the 60-strong European Research Group of Tory Brexiteers and former Foreign Secretary Boris Johnson, who quit the cabinet over the Chequers plan, set out the case for a no-deal Brexit, which they said would make the U.K. richer. May needs to pass her eventual deal -- including a solution for how to keep a frictionless border with Ireland -- through Parliament, where she depends upon the support of Northern Ireland’s Democratic Unionist Party. That means any objections within her own party threaten to scupper her plans. The technical notices will be released in the “afternoon” following a three-hour cabinet meeting in the morning to review the government’s preparations for a no-deal scenario, the Department for Exiting the European Union said in a statement. The cabinet will also discuss the work its sub-committees on civil contingencies have been examining. That includes international flights and cross-channel trade, as well as a consideration of possible triggers for civil unrest following a no-deal Brexit. 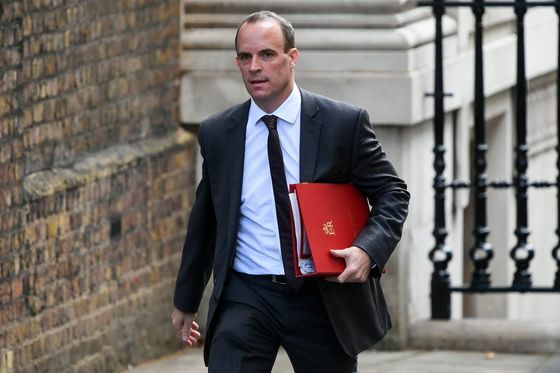 While a no-deal outcome comes with “risks” and “short-term disruption,” Britons should ignore scaremongering about the scenario, Raab wrote in the Daily Telegraph on Thursday. He also warned the EU that failure to reach a deal would mean Britain wouldn’t pay an agreed exit bill of 39 billion pounds ($51 billion.) “There’s no deal without the whole deal,” Raab wrote. Raab said 28 papers will be released, adding to 25 published last month. The Brexit department said issues covered will include upholding environmental standards, plans for vehicle standards and mobile-phone roaming charges. Business lobby groups have been invited to view them in a reading room between 1 p.m. and 3 p.m., and indicate they expect papers on topics including aviation, space, climate change and structural funds, with contentious issues such as energy and services held back for a third batch of papers later in the month. Sky News said Britons will face a return to phone roaming and data charges when they travel in the EU in the event of a no-deal Brexit, though the government will stress it has the power to pass new laws limiting those charges. Sky also reported that Transport Secretary Chris Grayling has written to his 27 EU counterparts urging them to negotiate bilateral deals “as soon as possible” to ensure seamless air and road transport with Britain in the event of a no-deal Brexit. The U.K. and EU are said to plan a special summit to sign the Brexit deal in November, following an informal gathering of leaders in Salzburg, Austria, next Wednesday, and an official summit starting Oct. 18.